When you have a family, you tend to be caught in an interesting conflict. 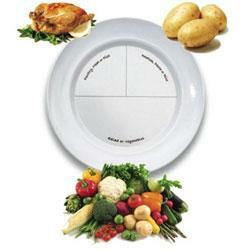 All of a sudden it really matters that you don’t just eat ready meals or takeaway every night. Your child can’t take the salt and fat levels, and you can’t take the financial hit. The only problem is, the same reason you need to eat real food for once is the same reason you don’t have time or energy to plan or to cook it. I’ve been trying to solve this problem in various ways, and looking to different sources for inspiration. First of all I tried ‘Saving Dinner‘, which literally gives you half a year’s worth of different recipes, all of which are very nice, with weekly shopping lists. I’d recommend the book for anyone who is (a) US based and (b) able to spend a good hour, five nights a week, cooking the dinner. Yes, unfortunately US recipe books don’t translate so well. After spending a while on the internet working out what on earth ‘cilantro’ (replace with other mystery ingredient as appropriate) is, you then have to source stuff that you can’t find in the supermarkets over here. And once I’d solved those problems, the kids struggled to cope with such intense variety. So I’ve re-shelved that for now. Anyhow, soon after that I caught an interview on Woman’s Hour with Gill Holcombe, author of ‘How to Feed Your Whole Family a Healthy Balanced Diet, with Very Little Money and Hardly Any Time, Even If You Have a Tiny Kitchen, Only Three Saucepans (one with an ill-fitting lid) and no fancy gadgets – unless you count the garlic crusher‘. Who should win an award, if only for the book title. And her book also has weekly shopping lists. The food tends only to take twenty to thirty minutes to cook, and the kids like the food. Result. She even wrote a new book last year with more recipes. I’m trying that now. But I’m easily bored with the food thing. So I’m also looking at ‘Frozen Assets‘ by Deborah Taylor-Hough (of The Simple Mom blog). I haven’t bought it yet, but I’m just starting to look at her blog. (I’m still going to have to get past the US/UK translation, but I love the idea of cooking only one day a month.